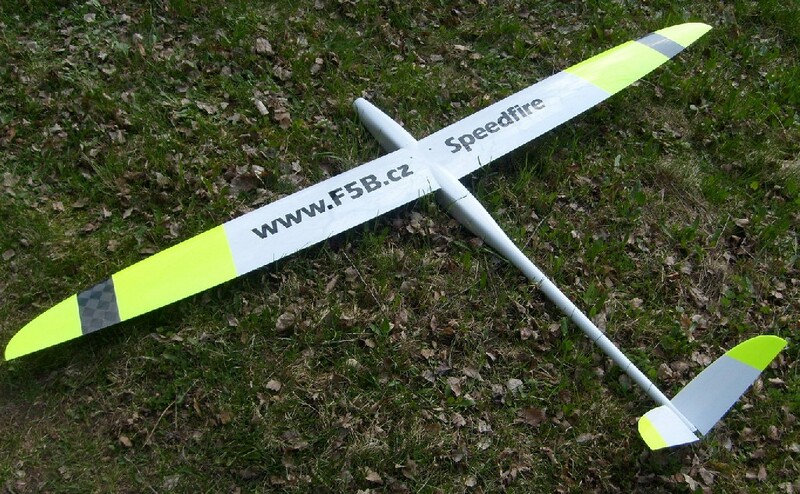 The Speedfire F5B packages elegance and style without compromising to performance. Thanks to a Dirk Pflug designed airfoil, the Speedfire delivers a broad speed envelope; be it accelerating with latest the 2kw+ F5B power systems or slowly hunting for thermals, the high aspect, 1.975m wing delivers. Standard model was tested with 6,2kW power. The uniquely swept wing was designed by renown engineer, Dirk Pflug. Based on his experience with F5Bplanes, he modified his DP F5B airfoil at the wing extremities to reduce drag and made slight changes to the overall airfoil to take advantage of the swept trailing edge. The fuselage is available in carbon with kevlar fabric in the receiver area to allow for 2.4GHz radios. The Speedfire is available is lighter or heavier layups upon request to meet your F5B/7 or show-flying needs respectively.